Recent events suggest that the Tajikistani ‘Jamaat Ansarullah’ (JA) is getting into good position for a return to Tajikistan before or after the withdrawal of Western forces from Afghanistan. Like other groups on exile in Waziristan, Pakistan and in Afghanistan, JA has been training and fighting alongside the Taliban and Al Qa`ida (AQ) fighters. Thus, the JA represents a potentially well-trained and battle-hardened group capable of wreaking some havoc in the weak Tajik state. 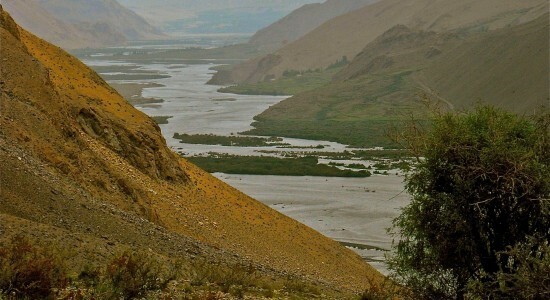 In September Taliban forces took control over much of Afghanistan’s northeastern province of Badakhshan bordering Tajikistan’s Gorno-Badakhshan prvovince. The latter province has been shaken by Ismaili demonstrations in the last year forcing the withdrawal of Tajik troops from the district as they searched for elements of the Islamic Movement of Uzbekistan (IMU), Islamic Jihad Union (IJU), and/or the former United Tajik Opposition (UTO) causing low level trouble in recent years in Tajikistan. Tajikistan has seen some 25 jihadi attacks and violent incidents in 2010-12. Although this is a rather a low level of conflict compared to that inflicted by the Caucasus Emirate in Russia, it is the highest level for that period among the five Central Asian states (see Gordon M. Hahn, “China and Central Asia After Afghanistan’s ‘Kabulization’,” IIPER, No. 67, 14 October 2013, http://csis.org/files/publication/131014_Hahn_IIPER67.pdf). It is unknown whether fighters from JA or these other groups accompanied Taliban forces into Badakhshan, but it seems a pretty good bet that they did. At the precise time that the Taliban moved into Badakhshan, the JA released a new statement (Kavkaz tsentr, 13 October 2013, www.kavkazcenter.com/russ/content/2013/10/13/101166.shtml and Irshod, 27 September 2013, http://irshod.com/index.php?newsid=1440). The JA statement rejected any association with the IMU in response to an official Tajikistan security services statement announcing the capture of one Alimurad Makhanov, who was described as an IMU and JA member. The JA denied that Makhanov is a JA member and that although the JA “respects and has brotherly relations” with the IMU and all other “jamaats fighting on Allah’s path,” it denied having any other connection to the IMU. Moreover, it not only made clear that its main focus is Tajikistan but that all other groups seeking to operate on its territory should subordinate themselves to and clear their actions with the JA, essentially claiming its sovereignty over Tajikistan. Should the IMU or other groups fail to follow these rules, then the JA will carry no responsibility for their actions, the statement stresses. The JA would seem to lack the linguistic and ethnic cover for penetrating much farther than Tajikistan and neighboring Uzbekistan that ethnic Uighur, Kazakh, Kyrgyz and Uzbek mujahedin possess. However, it has declared that it accepts all ethnicities and nationalities into its group as log as they observe the Koran, Sunna and the concensus (ijma) of Salafi scholars (www.kavkazcenter.com/russ/content/2013/10/13/101166.shtml). Thus JA could recruit Uighur, Pamiri, Kazakh and Kyrgyz ethnics to penetrate China or non-Tajik Central Asians to operate outside Tajikistan. The statement claimed that the JA was becoming increasingly more popular in Tajikistan and that the Tajik secret services spread the rumor that the JA is subordinated to the IMU in order to give the impression that the JA is a small group and to play on tensions between Tajikistan and Uzbekistan and between Tajiks and Uzbeks. The statement also criticized Tajik media for condemning jihadi groups while looking the other way regarding “the millions of tons of bombs (dropped) on the heads of long-suffering Muslims of Afghanistan, Pakistan, the Caucasus, Iraq, Yemen, Somalia and others” (www.kavkazcenter.com/russ/content/2013/10/13/101166.shtml). The JA’s September statement follows other recent ones. Also in September, it issued a statement rejecting Tajikistan’s renewal of its treaty with Russia that permits the stationing of Russia’s 201st Motor Rifle Division in Tajikistan (Irshod, 24 September 2013, http://irshod.com/index.php?newsid=1436). Three weeks earlier, it issued another statement (Irshod, 4 September 2013, http://irshod.com/index.php?newsid=1389). In December 2012 it published a video showing training exercises (Irshod, 12 December 2012, http://irshod.com/index.php?newsid=1389). The JA’s re-emergence in recent months is part of the larger threat posed to Central Asia, China, and Russia coming after the withdrawal of Western forces from Afghanistan. The Waziristan incubator or black hole has provided a training refuge and the AfPak theatre has provided real battle experience not just to the JA but to the IMU, IJU, JK, the Kazakhstani ‘Jund al-Khalifat’ (JKh), and even the Uighur-dominated Turkistan Islamic Party (TIP) with its designs on China’s Xinjiang Province and perhaps Uighur-dominated areas of Kyrgyzstan and Kazakhstan. The TIP has also shown some resilience in the past year (Hahn, “China and Central Asia After Afghanistan’s ‘Kabulization’”). It will be another year, however, before we will know the real effect of the hijrah on these groups’ capacity to wage jihad in Central and East Asia.